Training Talk: Humane or Insane? You are here: Home / Animal Training / Training Talk: Humane or Insane? Above: The Ark Lady in a past life? 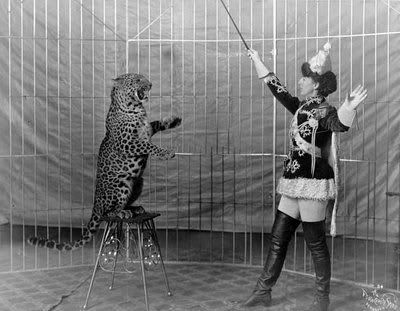 There has been a lot of debate about which animal training methods are the best. How do you know what animal training methods are the best? You can get results by many, if not all the methods that are out there–so I’d rule out that as a gauge to determining what is best. Most animals are not the same and so using the same technique or methodology doesn’t always work from one to the next–a good animal person is adaptable. Speaking of adaptable, I recently trained a dog to walk on a leash without pulling in a couple of minutes. The owner was shocked and then told me that the dog was thrown out of obedience school. The trainer said the dog couldn’t be trained! For goodness sakes that is ridiculous–you can train anything–the dog was simply smart and really stubborn. As for the trainer–I can only surmise that he or she was not adaptable. Understanding the conditions under which an animal best responds or learns is important. Now in the clicker training world–have you ever met a dog that freaks at a clicker? I have–but the clicker is just a tool–something to mark the behavior. There are other tools out there and a good trainer can adapt to the animal, the conditions, and the aptitudes he or she is dealing with…but I digress. Back to the question, How do you know what animal training methods are the best? It is my belief that the best training methods are disclaimer free–you can duplicate them safely at home. Safe duplication (for the animal and human) is a good gauge to whether or not the training method is humane and that the method is accessible to any skill level. Now that is not to say that novice trainers or pet owners need to work in order to develop new habits. In my experience, most people need at least 30 days of practice to be re-patterned and then another 30 days to fine-tune the new skill levels to a degree that is comfortable, successful, and so that it becomes a new habit that replaces the old one. 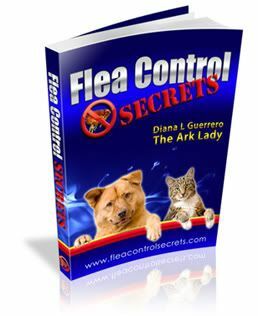 Did you ever wonder why many animal training programs that teach regular folks (not trainers) how to train their pets generally last six to eight weeks long? Hmm, is that a coincidence? So, although society progresses in many ways–why is it that many people cling to old training traditions and fail to experiment or update their tactics when there are other, better ways to do things? A Sausalito man faced a judge Monday in connection with what Marin County Sheriff’s deputies call a disturbing case of animal cruelty. Witnesses say they saw the man choke and then try to drown his dog. While many people think this is a cruel and unusual case–it really isn’t. Which is mind boggling if you think about it. If you read any of the old animal training books whose animal training techniques stem from the early 1900s and were popularized during (and just after) WWII–holding an dog’s head under water in a hole it dug was a recommended practice–among many other such harsh techniques. I can’t tell you how many people I STILL encounter who believe sticking a pup’s face into it’s excrement is a good idea. I just ask, Would you stick a baby’s face into it’s excrement in a dirty diaper? Most people say no–and it gets the point across. Now I actually had the opportunity to visit the class of that system back in the 1980s. It was taught by the guy’s son (if I remember right). The amazing thing was that his books were still selling well even though the one I have was produced in the early 1960s–that is a long time without change. Today in 2009 those techniques are still around (Believe it or not it was re-released in the late 1990s.) and still accepted and promoted by pop culture–and even some other animal professionals allied to the animal training world. Is it humane or insane? Can you duplicate it at home safely and adeptly? I suspect that if you knew of a better, more humane training option that you would select it. Now the sad thing is that many people say they would do so but then I see them purchasing equipment that also goes back to the dark ages because it has become a standard and they resist change–their friend(s) (who are not professional animal trainers) used it so it must be okay. Back when I first began focusing more on pet training (early 1990s), I had the opportunity to test the first versions of the Halti and the abistop (now known as the Citronella collar). Not too long after, the dog training world jumped on the change wagon in the mid to late 1990s. This was funny to me because in the wild animal training world we were already using positive techniques (I started in the profession in the mid 1970s) and I knew of at least one zoo in Germany that was using them as early as the late 1800s. Anyway, as I was using and promoting these “new” pet training tools, people actually got angry with me for “muzzling” my dog or using a collar that emitted a spray instead of shock. Now I have to ask another question, Have you ever seen holes in a dog’s neck because of improper use of an electric shock collar? Have you ever tried out a shock collar on yourself by holding it in your hand? Years ago, at a pet industry trade show, I met a shock collar representative who was trying to sell me on the device and, at my challenge, adjusted it to the lowest setting and let me test it. The shock was administered to my hand which went numb for almost 30 minutes! No way did I want to use that on an animal that I was working with. On that note you might like this post about electric shock training. Now I bring up this humane or insane training topic because the debate over what technique(s) are the best to use for different behavior or training problems is a hot one–and unfortunately I don’t see this as ever cooling down. I have to say that everyone tends to develop their own styles of training and will also pick the tools of the trade that are their favorites. However, a good trainer or behaviorist is always moving forward and adding (or replacing) things to his or her bag of tricks. If you are looking for a good animal trainer or behaviorist you can usually find them through the professional groups such as the American Pet Dog Trainers Association or the International Association of Animal Behaviorists. It is also a good idea to get referrals and check references. If you can, take a gander at that person in action. Finally, I’d like to know how you found a professional to help train your animals…and if you are a trainer–what do you consider your most useful tool, technique, resource, or mentor? Just leave your comments below.